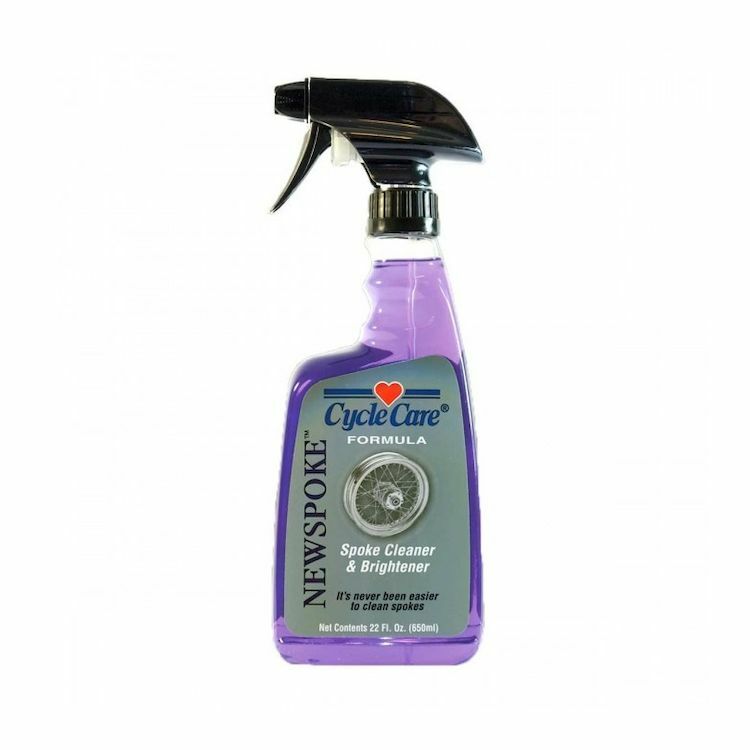 Cycle Care Formula NEWSPOKE cleans brake dust from areas that are immoveable and unreachable with wheel cleaners, string laces, towels, or brushes. NEWSPOKE removes brake dust, dirt, and road film leaving aluminum, stainless steel, and chrome spokes clean and bright. NEWSPOKE is safe on brake rotors, calipers, pads, tires and all metal. Note: Not for use on Cadmium coated spokes.